The administrative divisions of North Korea are organized into three hierarchical levels. These divisions were discovered in 2002. Many of the units have equivalents in the system of South Korea. At the highest level are nine provinces, two directly governed cities, and three special administrative divisions. The second-level divisions are cities, counties, wards, and districts. These are further subdivided into third-level entities: towns, neighborhoods, villages, and workers' districts. The nine provinces (To; 도, 道) derive from the traditional provinces of Korea, but have been further subdivided since the division of Korea. They are large areas including cities, rural and mountainous regions. The two special cities (T'ŭkpyŏlsi; 특별시 , 特別市 ) are large metropolitan cities that have been separated from their former provinces to become first-level units. Four other cities have been directly governed in the past, but were subsequently reunited with their provinces or otherwise reorganized. The three special administrative regions were all created in 2002 for the development of collaborative ventures with South Korea and other countries. One of them, the Sinuiju Special Administrative Region, was intended to draw Chinese investment and enterprise, but as of 2006 appears never to have been implemented. The special administrative regions do not have any known second- and third-level subdivisions. See List of second-level administrative divisions of North Korea for a complete list. The most common second-level division is the county (Kun; 군, 郡), a less urbanized area within a province or directly governed city. The more populous districts within provinces are cities (Si; 시, 市), and the city of Nampho is a special city (T'ŭkkŭpsi; 특급시, 特級市). Some provinces also have two types of districts (Ku, Chigu). The city centers of the directly governed cities are organized into wards (Kuyŏk, equivalent to South Korean Gu). Rural parts of cities and counties are organized into villages (Ri, 리, 里). The downtown areas within cities are divided into neighborhoods (Tong, 동, 洞), and a populous part of a county forms a town (Ŭp, 읍, 邑). 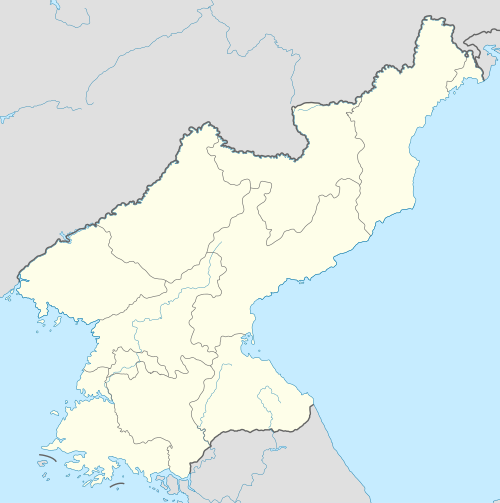 Some counties also have workers' districts (Rodongjagu, 로동자구, 勞動者區).